The second major of the season has arrived, but who will come out on top and win the 118th U.S. Open at Shinnecock Hills? Patrick Reed has played well since winning the Masters, but it won't be easy for him to make it back-to-back major titles. 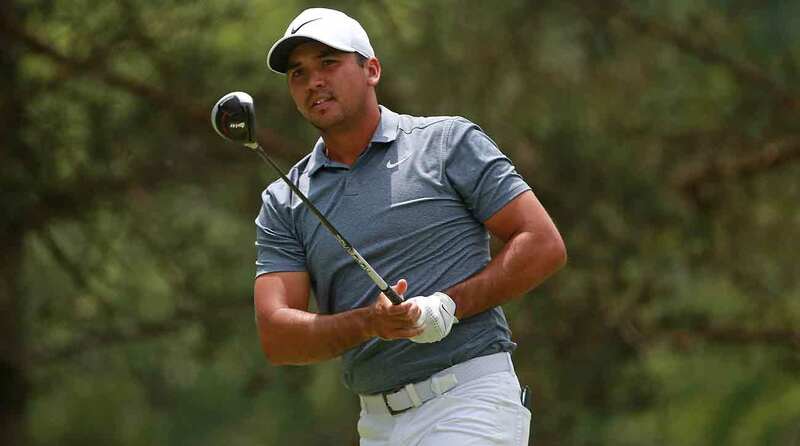 Jason Day, Justin Rose and Bryson DeChambeau have all won in the last month, and both Tiger Woods and Phil Mickelson are in good form and will get plenty of attention during tournament week. Brooks Koepka is the defending champion, and Dustin Johnson (9/1) and Rory McIlroy (10/1) are the betting favorites. We asked our staff to chime in. Who will win the U.S. Open, and who is your sleeper pick to contend? Josh Sens: Justin Rose. How can you not like Rose on a stout setup like this is bound to be? Always a dead-eye iron player, he's been in great form this year with two wins already and a sixth-place finish at the Memorial. Sleeper: Xander Schauffele. He hasn't been as scorching hot as he was during last year's gangbuster rookie season. But he plays tough courses well and, to borrow from Ben Crenshaw, I've just got a feeling about him. MORE: Join GOLF.com's U.S. Open Pool: Win a trip to New York City and new set of fitted clubs! Alan Shipnuck: Justin Rose. Tiny, treacherous greens demand precision and Rose remains the game's preeminent iron player, as well as a highly reliable driver of the golf ball. He's been playing well and is due for another bigee. Sleeper: Kiradech Aphibarnrat. Because nothing could possibly be more fun than this. Jeff Ritter: Jason Day wins it. He's healthy, he's focused and he's already won twice this year. The ideal combo of tee-box power and steady putting (currently 1st in Strokes Gained putting), he's peaking again. Shinny is the perfect venue for him to claim major title No. 2. My sleeper is Brian Harman. I loved how he hung in at last year's Open, and if he could push Brooks Koepka at a bomber's paradise like Erin Hills he can certainly contend at Shinny. He's also a sneaky-good putter and having another excellent season (14 of 16 cuts, seven top 10s) on the heels of his breakout '17. Jessica Marksbury: My pick to win is Justin Rose. Not only ndoes he already have a U.S. Open under his belt (lest we forget that clutch performance down the stretch at Merion), but he's been playing outrageously well this year — two wins and six top 10s on the PGA Tour. He's firing on all cylinders. My sleeper is Matt Fitzpatrick. He's easily underestimated, but he IS a former USGA champion (2013 U.S. Amateur). He's not the longest player out there, but he's precise and has serious grit. I think he may surprise some people this week. Joe Passov: Phil Mickelson is your U.S. Open winner in 2018. For starters, Shinnecock Hills owes him — and so does the U.S. Open, with his six runner-up finishes. He posted a T4 at Shinny in 1995 and solo second in 2004. He steps it up one notch this year. So, too, he's totally on form, with six top 10s in 2017-18, including a win, a second and a third. Recently he has a T5 at the Wells Fargo and a T13 at the Memorial. And we know Shinnecock favors shotmakers. Post-Memorial, Phil ranks 12th on Tour in Strokes Gained: approach, and the Open forecast is for both moderate temperatures and breezes, which will favor solid ball-strikers. It's Lefty's turn. My sleeper pick is Adam Scott. Sure, he barely made the field, via qualifying, and no, he hasn't contended for awhile. However, he did tie for fourth the last time the U.S. Open went seaside, in 2015 at Chambers Bay. He played well at Shinny's inland equivalent, Oakmont, in 2016, with a T18. Plus, he's been much improved lately, with a T9 at the AT&T Byron Nelson at links-like Trinity Forest, and a T11 at the Players. Finally, he owns the back-tee course record at Shinnecock, a 63 set back in autumn 2013. Look for the sweet-swinging Aussie to raise his game again this year at Shinny. Josh Berhow: Rickie Fowler is my pick. He made a believer out of me with his stellar back nine on Sunday at Augusta National, and that was all I needed to see to realize a major is well within his grasp. He'll be in the mix, and this time I think he closes it out. Sleeper: Tony Finau. Sneaky good season so far. Tim Reilly: Phil deserves to have "U.S. Open champion" on his resume. It's long overdue and I think the outpouring of support he's sure to receive from Long Islanders at Shinnecock is going to help will him to victory. It's time for Lefty to complete the grand slam. No sleeper needed, I'm hedging all my bets on Phil. Dylan Dethier: Henrik Stenson. One of the steadiest ball-strikers on Tour is primed to take down Shinnecock one flighted three-wood at a time. Sleeper: Keegan Bradley. He was at the edge of contention at both the Players and Memorial — if he has even a decent putting week on Shinny's slippery surfaces, I think Keegan will show on the weekend.